When Fred Reinagel founded The Vail Chorale in 2011, his goal was simple: to create a non-auditioned community chorus that would provide an opportunity for choral music-making on Tucson’s east side, welcoming singers of all ages and musical skills. Since its inception, The Vail Chorale has been entertaining local audiences with Fall and Spring concerts that feature musical styles for every taste. Performances have taken place at various locations including Empire and Cienega High Schools, the Arizona Senior Academy, and the Del Webb Lodge at Rancho del Lago. 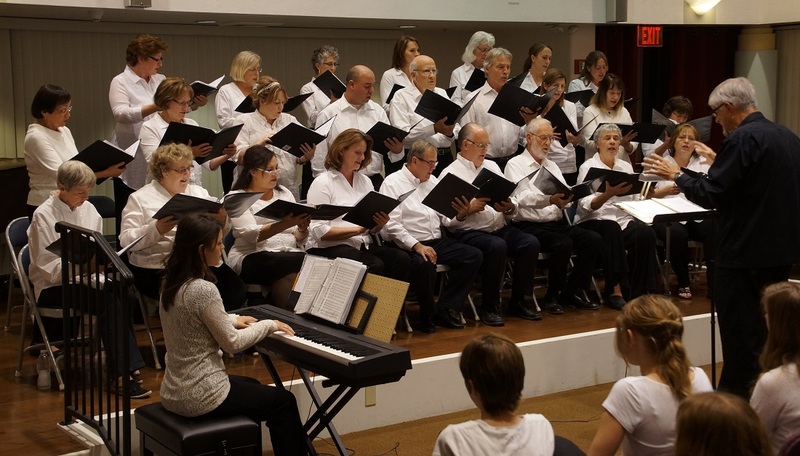 Chorale members have included high school students as well as adults of all ages, who have found that the intergenerational experience has added to the fun of singing together. Concert attendees have remarked at the obvious enjoyment and enthusiasm that comes across to the audience. The Chorale is jointly sponsored by the Vail School District and the Arizona Senior Academy (ASA). The School District currently provides rehearsal space at Cienega High School, while the ASA provides a performance venue and honoraria, bookkeeping management, and publicity from the volunteer Academy Village Press Corps. In 2014 The Vail Chorale joined the Greater Vail Area Chamber of Commerce. Email: thevailchorale@gmail.com for more information. 2015 The Vail Chorale. All Rights Reserved.